The cost of personal hygiene products, such as disposable razors, can leave you searching for ways to save money. How much you pay for disposable razors varies depending on the manufacturer and how many blades the razor head contains. Learn how to clean and store your disposable razors properly so they last longer and give you a close shave every time. 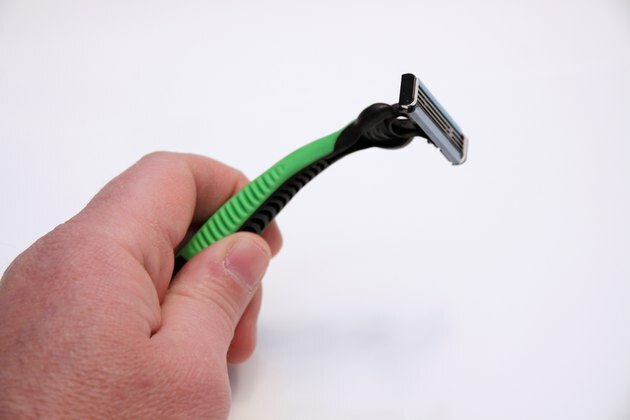 Rinse your disposable razor after every two or three strokes. Rinsing in between razor strokes helps remove a build-up of cut hairs and shaving cream. Perform a final rinse when your shave is complete. 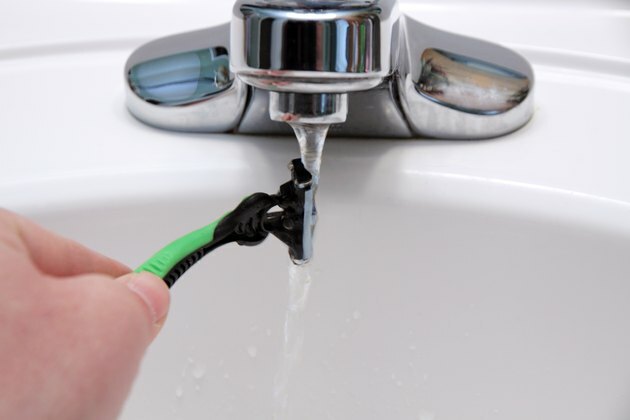 Place the disposable razor under the water, rotating it as you rinse to remove hair and shaving cream from between the blades and around the head of the razor. 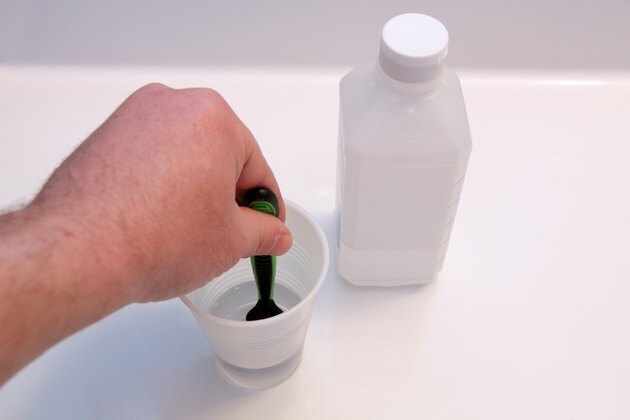 Pour an inch or two of isopropyl alcohol into a paper cup. 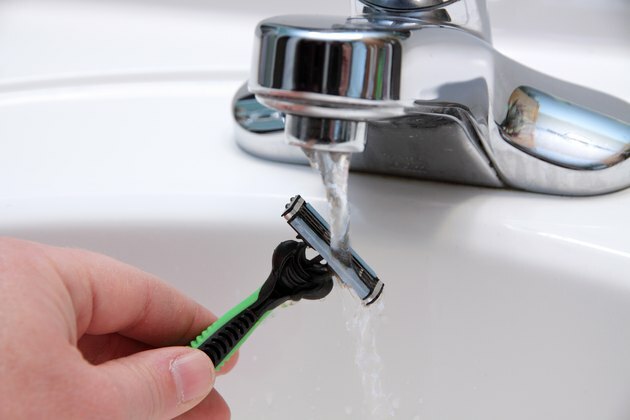 Dip the head of your disposable razor into the isopropyl alcohol to sanitize the blades for your next use. Pat the disposable razor and blade dry with a clean paper towel--do not rub. Alternatively, let the razor air dry with the blades facing up to avoid dulling. Snap the plastic blade protector provided by the manufacturer back on the razor head. 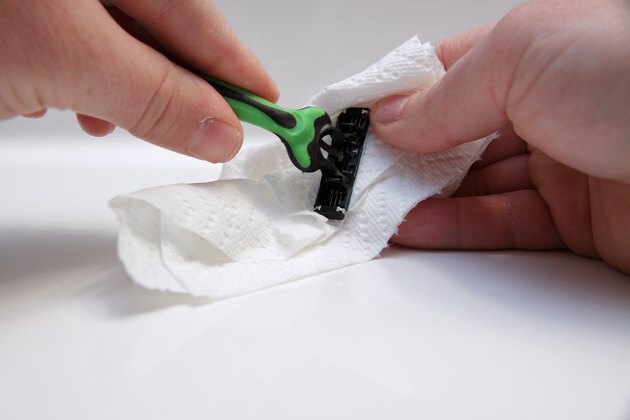 Store the disposable razor blade in a dry area until the next use. If you misplace the plastic blade protector, wrap the head of the razor loosely in a paper towel. Throw the disposable razor away once the blades become dull and no longer give you a clean shave. 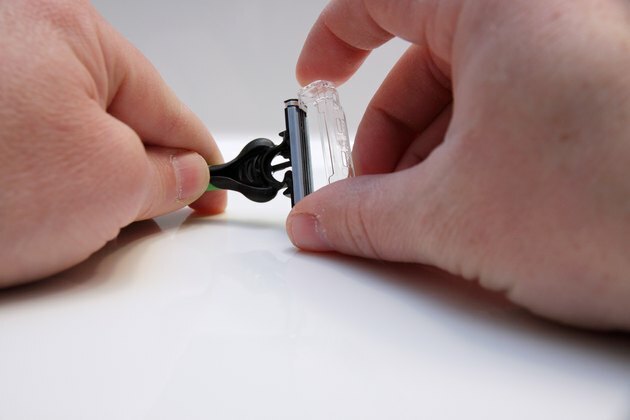 Snap the blade protector on before throwing the razor away in your household trash--this will help you avoid injury. Handle the disposable razor carefully. The blades are sharp and can cut your skin. If you cut yourself, rinse the cut with lukewarm water, apply an antibiotic ointment and wrap the cut in a bandage. If the cut shows signs of infection, such as inflammation, pain, redness or a green-colored discharge, seek medical attention. Don&#039;t share your disposable razor. This helps prevent the spread of bacteria and disease, according to the Wisconsin Department of Health Services.